Others | J.A. ter Maten B.V. 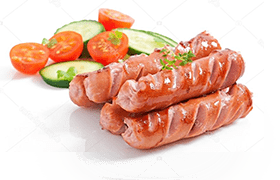 In addition to our separated meat products, we also offer so-called by-products such as skins (sorted or unsorted) and organs such as liver, necks, hearts and stomachs. Fresh hearts that have been frozen directly. Fresh liver that has been frozen directly. Fresh necks that have been frozen directly.